Ready or not, the holidays are nearly upon us, and you know what that means…shopping! 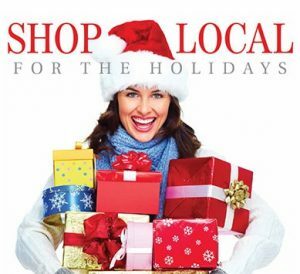 As always, the Chamber is doing our part to help promote local shopping.  One of the main tangible ways we help to do that is by selling Columbus Bucks. Columbus Bucks work like cash for shoppers and are available in $10 increments. 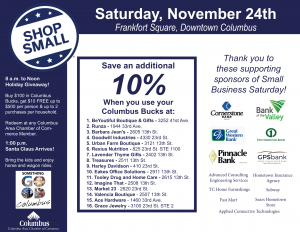 All Chamber members can accept Columbus Bucks. The money then circulates through our local Chamber retailers, making a big impact on our economy! Columbus Bucks make great Christmas Gifts! Stop in to the Chamber during business hours to purchase yours. The annual Columbus Holiday Giveaway kicks off at 8 a.m. on Small Business Saturday, November 24th. Santa will be arriving that day at 1 p.m. 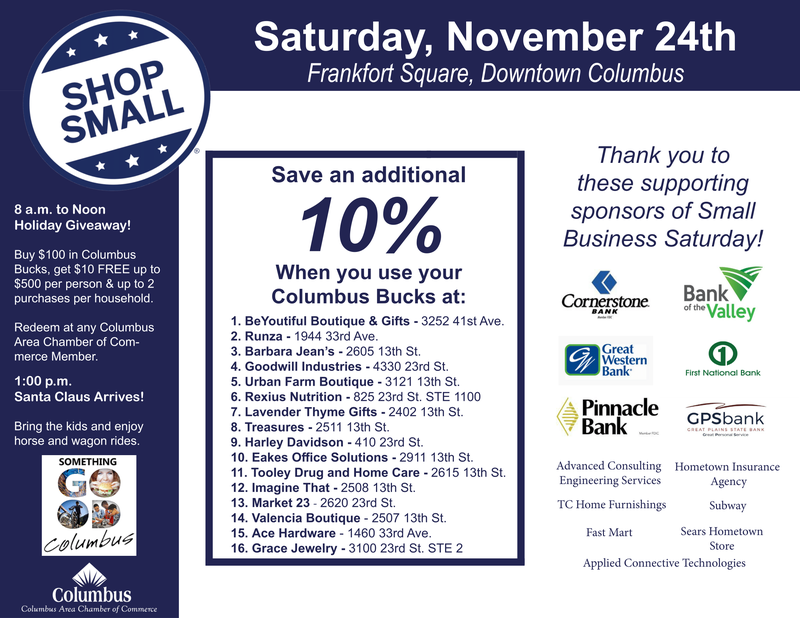 Shoppers that purchase Columbus Bucks on that day will receive $10 in Bucks FREE for every $100 purchased. Shoppers may purchase up to $500 in Columbus Bucks, and there is a limit of 2 purchases per household.